Fortnite Season 8 officially launched on Thursday, February 28, and data miners are already hard at work pouring through the games update files hoping to catch a glimpse at upcoming items and cosmetics that will be made available in the game. Leakers have already revealed a number of new skins, harvesting tools and backbling that will likely be added to the game’s Item Shop in the next few days. 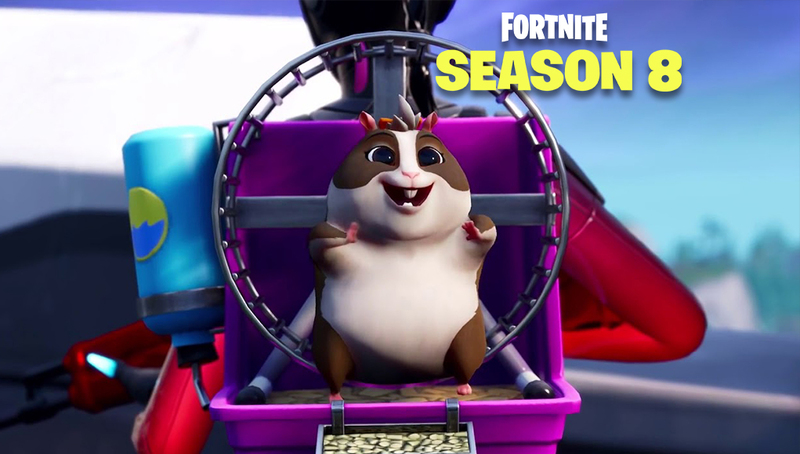 Among the files, data miners also found files that indicate a new vehicle will be coming to Fortnite in the near future, specifically what appears to be a gigantic hamster ball. Not a lot of information is currently available about the item, but a folder was found in the Battle Royale portion of the V8.00 update that mentions the Hamster Ball by name. It was included in a sub-folder called “Drivable Vehicles” which included the Driftboard and the Cannon, which was officially added to the game during the latest update. When the item will make an appearance in Forntite is unknown, but it’s possible we could see it in the V8.10 update which will likely be released in the next few weeks. It’s also unknown how many passengers the Hamster Ball will carry, or how much protection it will offer the players who are travelling inside it. The addition of a new vehicle to Fortnite will come as little surprise, as Epic Games have removed both the All-Terrain Kart and the X-4 Stormwing plane from the game with the launch of the V8.00 update. Of course, as with any leaks, there is no confirmation that Epic Games will officially add it to the game, and have previously added items that never made an appearance in Fortnite.